I am currently aboard car #7803 en route to London, Ontario. 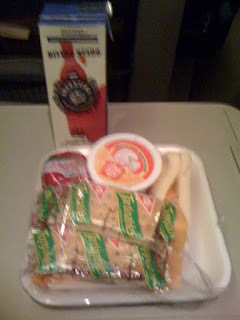 Pictured below is my $12 snack/ meal for the trip. box wine.... Err... Not so funny.